For those who need to get their music out and into the world, the Nessie provides a fun and affordable way to do it: plug it in, set it down, and go. Those of us who’ve spent periods of our life in which the studio was more familiar than our apartments know about Blue microphones. 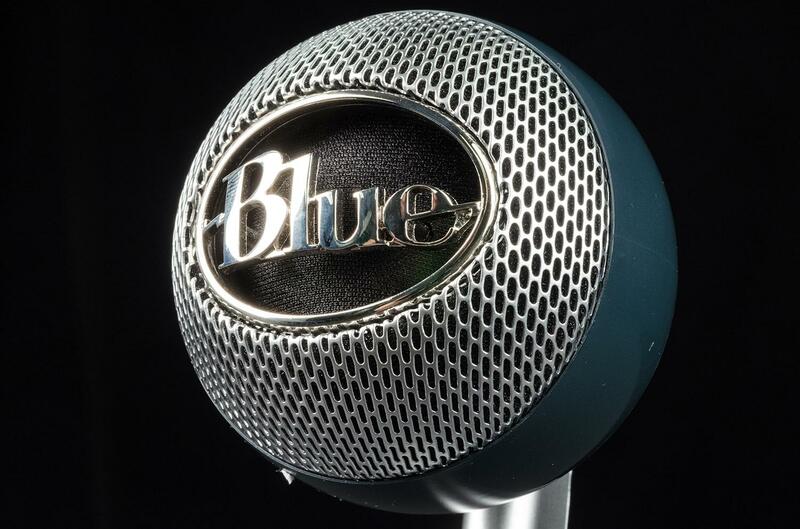 While they may not be a universal mainstay like AKG or Neumann, Blue makes gorgeous microphones – both in terms of design and performance – that are staples in many professional studios. So when we heard about the newest addition to Blue’s growing line of USB mics, the Nessie, we were intrigued. Putting the “condense” in condenser mic, the Nessie packs a large helping of recording tools right into the microphone itself, with everything from built-in digital effect, to convenience features like an onboard “zero latency” headphone input with volume control. In short, the Nessie gives you everything you need to get your music off the page. And at $100, even musicians can afford it. But can it deliver? We spent some time digging into our singer/songwriter roots to find out. Pulling the mic from its Styrofoam encasement, we immediately understood the name. The self-contained stand looked distinctly prehistoric as it arched backward from its cylindrical base. 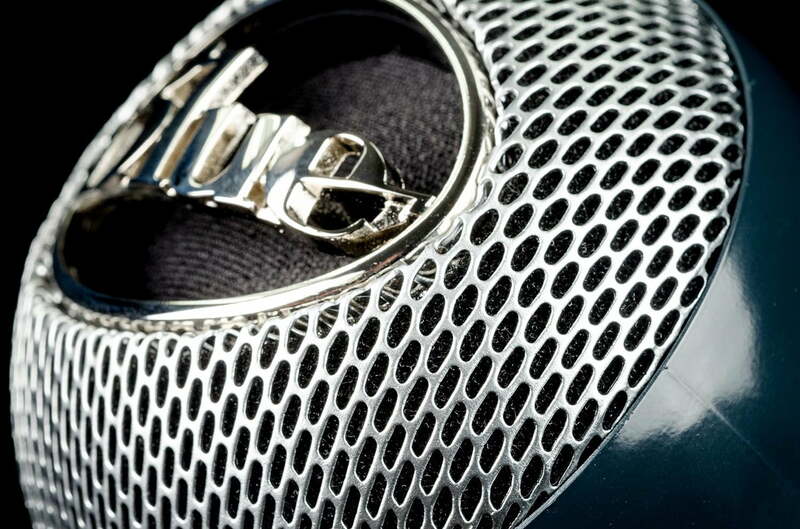 The pod-like “head” of the mic stared back at us with its silver face, carved into a Blue logo. Our initial impression was that of a cross between the storied Scottish sea-monster, and an old-timey mic from the 30’s, which is part of the charm of Blue’s design team. A mini-USB to USB cable, approximately 8 feet long, was the only other occupant in the box. 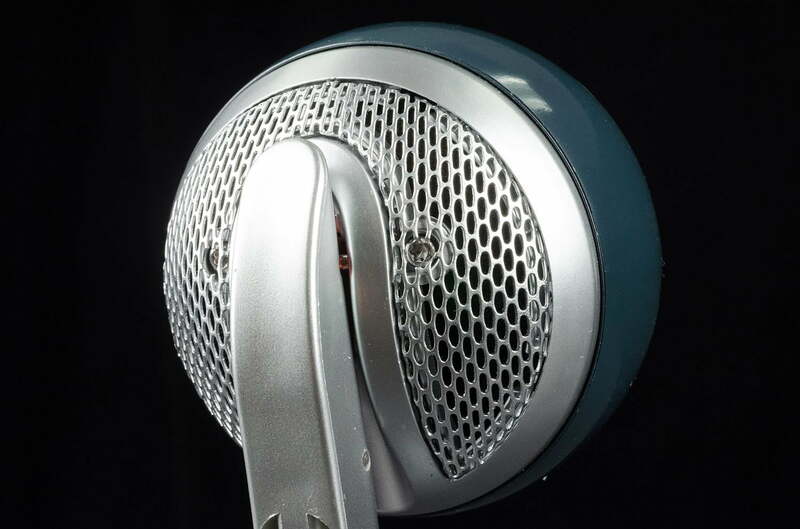 The eyeball-esque globe at the top of the microphone contains a cardioid condenser diaphragm, wreathed in blue enamel and silver mesh. Inside the globe is a black screen which encompasses the entire inner element, concealing a built-in miniature pop filter just beneath its surface. 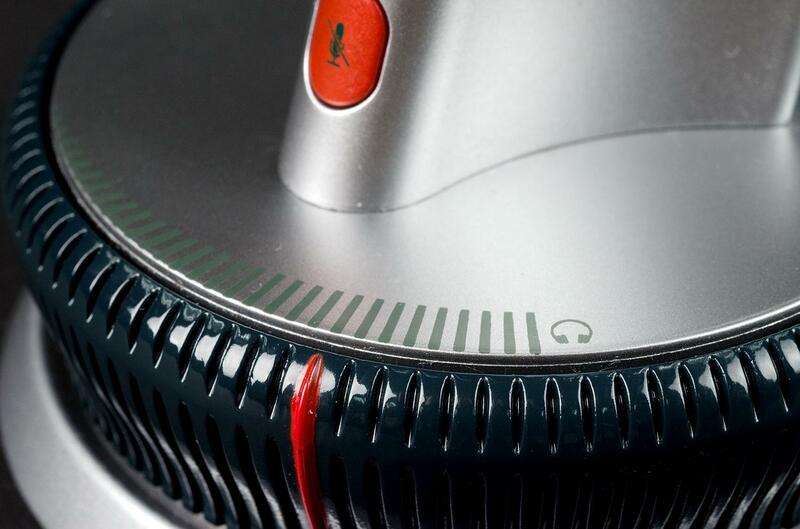 The sphere attaches to the stand on a small red hinge, allowing for movement of the mic to various angles for different sources. For the uninitiated, cardioid is a fancy word for a head-on polar pattern, meaning the front of the mic is where the sound is received. Cardioid is perhaps advantageous to beginners because it’s less directional than a super-cardioid pattern and, therefore, easier to line-up. But (spoiler) that also means it tends to pick-up auxiliary noises around the front of the mic more easily. For a “plug ‘n play” USB mic such as the Nessie, convenience is king, which is why we were impressed with its succinct design. Following the neck down, we discovered a collection of controls and inputs cleverly incorporated into the unit’s cylindrical stand. At the base of the neck is a touch-sensitive mute key, which makes popping in and out of live sound while laying down a project a smooth operation. (It’s also easy to accidentally mute the mic, but more on that later.) A white LED circlet around the platform glows solid when the mic is record ready, and flashes when the mute is activated. For a “plug ‘n play” USB mic such as the Nessie, convenience is king, which is why we were impressed with its succinct design. Beneath the mute key is a rippled black band with a red vertical strip at one end. Turning the band moves the strip along an incremental volume bar painted above it, providing a cool and intuitive way to adjust volume when you’re in the recording groove. A rubber pad on the bottom of the stand keeps the mic in place while turning the dial. Aside from the convenience factor, onboard sound is also an important feature because it allows you to hear the signal directly, without latency. That puts you ahead of the game if you have a slow computer or poor recording software. The headphone input is hidden neatly at the backside of the neck, right above the mini-USB input port. In between the two ports is a small red switch, which controls Nessie’s three main recording modes. The different modes determine the amount of digital alteration the signal will undergo: Raw Mode provides a clean signal, Voice Mode adds a de-esser (a limiter to decrease sibilance) and some additional DSP for a deeper vocal tone, and Music Mode adds some EQ adjustment to add “more sparkle” to instrumental recordings. If you’ve never done any recording and/or aren’t particularly tech-savvy, setting up the Nessie can be a bit tricky; but once you understand how it works, it’s a snap. After plugging in the mic, you’ll need to assign it as both the input and output source in your computer’s Sound preferences (found under Control Panel =>Sound for PC’s, or System Preferences =>Sound for Mac.) Once that’s done, the instructions tell you to put the Output level at maximum, since you’ll be controlling volume from the mic itself. At this point, you can also set the Input level, allowing for more sensitivity and hotter recording levels. If you’re using a more complicated DAW (Digital Audio Workstation) like Logic, you may also have to adjust the Input/output from the Global settings in the program itself, usually found under Global => Audio. After that, you should be ready for action. Just don’t forget that the mic is at minimum volume straight of the box. If you’re wondering why you can’t hear anything after initial setup, always check the easy stuff first. For the self-recorder, the Nessie’s design oozes efficiency, offering a quick and easy way to get in, get out, and get it on tape. (That’s studio lingo for recording…no one alive today remembers its origin, scholars maintain it was lost decades ago.) While you can certainly multi-track each instrument separately, the Nessie’s self-contained platform stand and wide polar pattern is especially conducive to all-in-one jobs; e.g. vocals and guitar together. At least that’s how we see it, and that’s where the mic really seemed to shine in our testing. We’ve seldom had an easier time getting a good balance between dual sources, which makes the Nessie an enticing choice for novice engineers right off the bat. Perhaps our favorite feature was the mute key. Having done a number of self-made recordings with sound boards and interfaces across the room, being able to just lightly tap mute and listen back without environmental distractions was a welcome convenience. On the downside, as previewed before, it’s easy to accidentally mute the mic – we seemed to hit it almost every time we clicked the record mode switch. However, most people won’t likely be changing modes that often, and you always know when you’re muted thanks to the flashing halo. We also dug the volume control band, supplying seamless adjustments for both recording and playback. Some features we missed were onboard gain control and frequency patterns options – stuff you can get on other USB mics from Blue such as the Yeti (we’re noticing a theme here.) 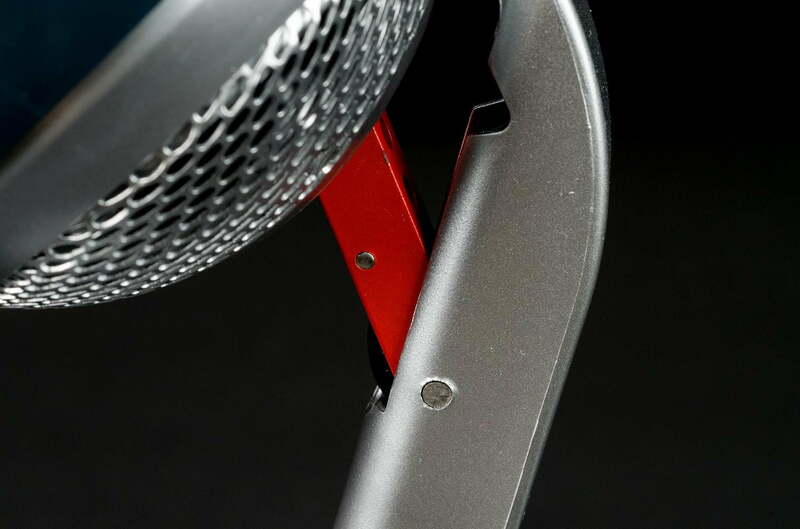 Some users may also be disappointed with the fact that the mic is not detachable for use with a regular boom stand. But if your primary goals include demo work, getting ideas down for your band, or simply archiving your music, the Nessie’s design is convenient and hassle free. As far as audio quality, the little mic is no U87 (look it up, it’s not that submarine movie). You can get a much better sound buy jumping up to a $200-300 regular XLR condenser mic. However, those mics require a lot more hardware than just a USB input to get going. And for the price, the Nessie sounds pretty damn decent. There were a few issues we encountered while trying to get a clean sound, but mustering our efforts, we were able to make some good recordings that we wouldn’t be afraid to show friends, band mates and the world wide web. The main issue in our testing was ambient noise. Since the polar pattern is so wide (and we mean really wide), trying to dial up a hot input level made it difficult to get a pure recording, even in a closed room. Planes, trains, and automobiles made a lot of appearances, as did any other minute noise in the room. We got things to sound a little cleaner by putting a boundary behind the mic, but the best solution was simply to keep the input low, and adjust things post-recording. That method can create some signal noise in itself, but it was negligible in our testing, and we were able to add compression and raise the mic volume without issue. As for the three different modes, Raw sounded best on guitar, creating a fluid, silvery tone, but Voice won out on vocals (go figure). We’re usually not fans of pre-effects, but Blue’s mini signal-path in Voice mode added some pleasant warmth to our voice, softening up the pale edge that Raw provided. The trade-off was a duller sound on the guitar, with brawnier low frequencies than we desired. But even if you’re a total beginner, if you have a DAW (digital audio workstation) with a decent supply of plug-ins, you should be able to adjust either mode to your taste. Besides, messing with the mix is half of the fun. The Music mode was too bright and sibilant for our ears, but it could be a viable option if you want some extra clarity while recording individual instrumental tracks. While we loved the Nessie for dual source recording, it’s less efficient as a straight vocal mic. Getting much closer than the recommended 12 inches created some pop issues, and we had a harder time getting the articulate resolution and tactile breathy tones that develop when you’re right up on the mic. If your main thing is solo vocals, or broadcast recording for podcasts, the Nessie may not be the mic for you. The Blue Nessie brings funky style, a super-efficient workflow and pleasing sound to your home studio for less money than most musicians spend on cables. While it may not deliver professional quality audio, it gets the job done, and all-in-all, we were satisfied with the results of our balladeer sessions. For those who need to get their music out and into the world, the Nessie provides a fun and affordable way to do it: plug it in, set it down, and go. When we did that, we ended up with something we enjoyed listening to. And in our book, that makes Blue’s Nessie worth the price of admission.